Whether you are a newcomer or a SUP champ, the OBX Paddle Palooza has a little something for everyone in the family, with a celebration of the fun, healthy, and family-oriented activity that has taken the Outer Banks by storm – stand-up paddle boarding. Held on the shores of Avon on Hatteras Island, this event features a ton of activities and events for paddlers of all ages and skill levels, and is a great way to explore the gorgeous shorelines of the Outer Banks while enjoying a little exercise, and while having a ball. 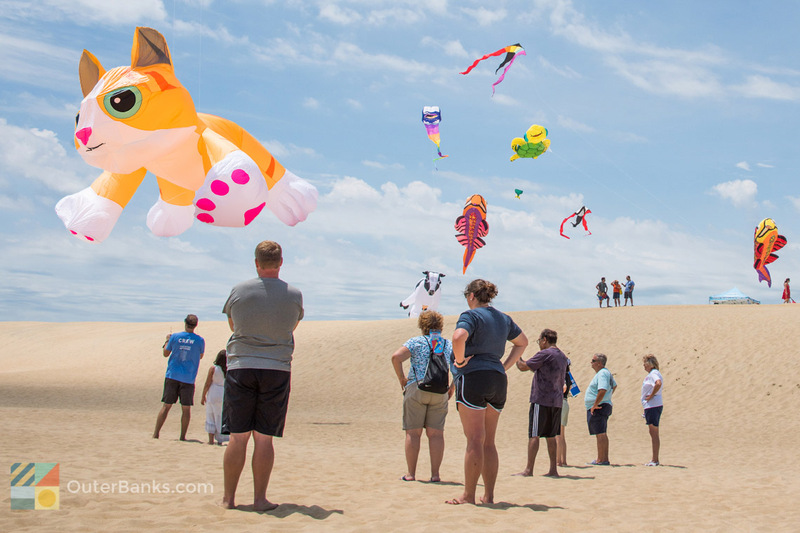 Every year, a wave of new equipment arrives on the scene that takes the sport of kiteboarding to the next level, and watersports fans who want to see everything that’s cool and brand new can get a sneak peek via the Kitty Hawk Kites Demo Days. Held at the Kiteboarding Resort in Rodanthe, this unique event gives boarders an opportunity to try out the newest brands, styles and gear on the global kiteboarding scene. Head to the Old Lighthouse Site in the heart of Buxton for an opportunity to see some of the best local and regional surfers show off their skills at this special event that’s sponsored by the Eastern Surfing Association (ESA.) The ESA has long been heralded as the top organization for East Coast surfing tournaments, and during this late July competition, spectators can see the best of the best compete on the local waves of Hatteras Island.